Who cares about the future of their language? How can the decay of linguistic diversity around the world be stopped, or even reversed? Can medium-sized language communities counter homogenizing forces: political subordination, immigration, globalization? The Catalan-speaking territories show that democratic language planning is feasible and can raise group self-esteem. 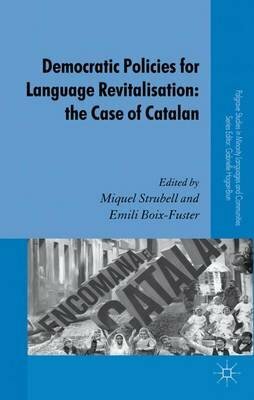 The main Catalan-speaking communities in Spain (Catalonia, Valencia and the Balearic Islands) have regional parliaments that have enacted broadly similar legislation; nevertheless, using a comparative approach, the book also highlights striking differences between regional policies. It concentrates on the regionalised system defined in Spain's 1978 Constitution following decades of political repression. It provides the historical and sociolinguistic information that linguists and political scientists need to understand complex relationships: between language planning and policy, on one hand, and stereotypes, attitudes and political will, on the other. Leading academics have worked together to provide a critical appraisal of these policies and their success, thus filling a gap in the English-language literature on the subject.